Journalists and booksellers--this resource is for you. Please feel free to download any and all flyers, sell sheets and/or chapter excerpts. The pdf files are formatted for print. [Death to the Centurion] "I really enjoyed it. A 'must read' for all comic books fans... Superman fans especially will get a buzz out of some of the 'in jokes' ...placed within." 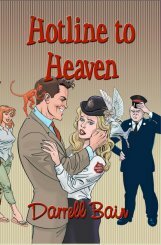 "Hotline to Heaven" is simply hysterical! Parts of the book had me laughing so hard I had tears coming from my eyes. There's some romance, some mystery, an interesting plot, and a lot of publicity for the Salvation Army. All in all, a great book." Reviewed by Rebecca Henderson, Amazon.com reviewer. 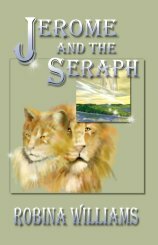 "...Jerome and the Seraph is a simple entertaining book that ironically connects complex topics (the afterlife, mythology, and quantum physics) into a wonderful fantasy that hooks readers from the moment Al and Jerry exchange a few words. The tale never lets go until Brother Jerome completes his journeys, though Quant steals the show. Fans who appreciate an amusing with serious undertone adventure tale will appreciate Jerome Through the Looking Glass guided by Quant the Cheshire cat." Reviewed by Harriet Klausner for MBR Bookwatch. "...Monkey Trap is full of twists and turns, undercurrents and subplots, technical and scientific detail and jargon that under the talented hands of this father-daughter writing team will enthrall any Sci-fi fan. "...this trade paperback, with its artistic cover design, quality paper and print, is a two thumbs up must read bookshelf keeper. Don't miss Lee Denning's MONKEY TRAP." 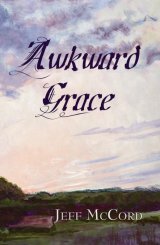 Reviewed by Charlene Austin for Writers and Readers Network. 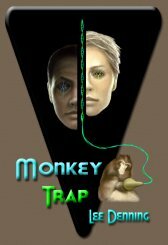 [Monkey Trap] "...The first volume in a projected trilogy presents a cast of convincing characters and a compellingly paced plot. Denning, the pseudonym of a father-daughter writing team, uses quick changes of scene and character-building flashbacks to create an sf adventure that combines hard science, mysticism, and alien contact. For most libraries." Library Journal (the Sci Fi column by Jackie Cassada). 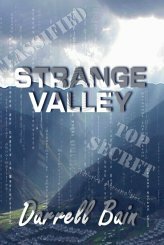 [Strange Valley] "...A city where residents don’t get married and show no religious preference? What will happen to our cherished American values? Logically, Masterville becomes an imminent threat. Whether this scenario is a parody of our present government situation, the reader will have to decide. "The quantum cat is back! And so are his friends, some of whom are very old friends indeed - King Minos, Deiphobe the Sibyl, Androcles, St. Jerome and the Minotaur of labyrinth fame." ISBN: 1-933353-60-0 Fantasy Available now. 176 pages. 5.25x8 Trade Paperback. $16.95 U.S.
To order this book, phone 1-800-497-0037, 9:00 am to 6:00 pm EST. 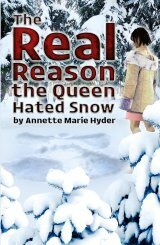 ~ visit ~ Amazon; Amazon.co.uk; Bamm.com; Barnes & Noble; Borders; Indy Bookstores or mail a check. 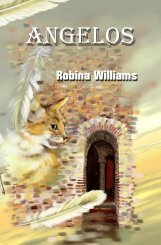 "Angelos, the sequel to the fabulous Jerome and the Seraph, is a delightful fantasy that uses humor to tell a deep philosophical tale. Robina Williams provides a terrific tale that the audience will cherish." ~ Harriet Klausner. 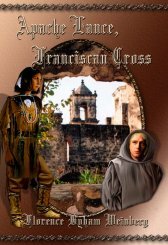 In the year 1731, three Franciscan missions are struggling to establish themselves on the San Antonio River despite Apache raids. The story explores a crucial time in San Antonio history, featuring courageous settlers, missionaries, Indian converts and fierce Apache attacks. 2006 WILLA Award Finalist! ISBN 1-933353-44-9. Historical fiction Available Now! 288 pages. 5.5x8 Trade Paperback. $18.50 U. S.
~ visit ~ Amazon; B.C.H. ; Barnes & Noble; Indy Bookstores or mail a check. This novel will appeal to history buffs, especially Texans. Plot is fast moving with powerful emotions, action, love interest, suspense, accurate background and landscape. "In the small African nation of Burundi, a government incited massacre makes Mevin Ntwari a refugee. In the hills of East Tennessee, a reluctant sense of duty compels Ben Bellamy to lead an outreach committee. And somewhere between these two events, faith inspires an unlikely connection." ISBN 1-933353-17-1. Inspirational Available now! 220 pages. 5.5x8 Trade Paperback. $16.95 U. S.
~ or visit ~ Amazon; Bamm.com; Barnes & Noble; Borders; Indy Bookstores. ISBN 1-60619-181-0. Suspense Available now. 270 pages. 5.5x8.5 Trade Paperback. $18.95 U. S.
"...this is a fairly whimsical - if a story about death by poison can be described as whimsical! - and entertaining mystery in the best tradition of Christie and her ilk." ~ Russel D McLean for Crime Scene Scotland. ISBN 1-931201-60-9. Mystery Available now! 242 pages. 5.5x8 Trade Paperback. $16.50 U. S.
~ visit ~ Amazon; Bamm.com; Barnes & Noble; Borders; IMBA; other Indy Bookstores or mail a check. "With an excellent understanding of human behavior and motivations, this author has succeeded in creating a deftly crafted, classic suspenseful mystery that will keep you submerged from beginning to end. The climax made my heart race. ~ Mayra Calvani, author of Dark Hunger, for Midwest Book Review." ISBN 1-931201-81-1. Mainstream Available now! 148 pages. 5.25x8 Trade Paperback. $14.95 U. S.
~ visit ~ Amazon; Bamm.com; Barnes & Noble; Borders; Indy Bookstores or mail a check. 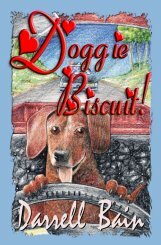 "Biscuit truly relates to people with ever fiber of his little doggie heart, even to having a human girl friend, getting tickets for reckless driving and sampling Viagra pills. Who could resist a dog story like this?" 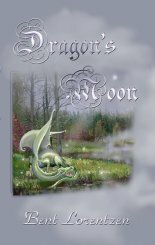 A young dragon beset by childhood trauma and a disability, goes in quest of his identity and happiness. Enduring severe hardships in the search to find his roots, he ultimately discovers his disability may be a key weapon against a terrifying antagonist. ISBN 1-933353-53-8. YA fantasy Available now! 140 pages. 5.25x8 Trade Paperback. 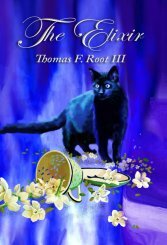 $14.95 U. S.
"This is a lovely fantasy, reminiscent of "Watership Down," with a dash of the "Ugly Duckling" thrown in. Magic, quests, the fight between good and evil, they are all here, with dragons as the protagonists, but with all too human emotions. ...A great read for any age." ~ Reviewed by Annette Gisby, author of "Writing the Dream." "No matter how James Foster tries to use his paranormal gift for the betterment of his fellow man, society is just not ready." ISBN 1-931201-85-4. Suspense Available Now! 240 pages. 5.5x8 Trade Paperback. $16.95 U. S.
"Wealthy, brilliant and highly respected, Secretary of the Interior Benjamin Howland believes America can be restored to world greatness only if he takes over government and declares martial law. All it will take is a healthy dose of national panic and upheaval..."
"Violet is the nearest thing to an angel that Ed Tanner has met in his seamy life as a scam artist. Violet is so unworldly she’s never been kissed. Will Ed corrupt Violet? Will Violet make an honest man of Ed 'Boilerroom' Tanner?" ISBN 1-931201-25-0. Romantic comedy Available now! 196 pages. 5.25x8 Trade Paperback. $16.50 U. S.
" In the summer of 1926, jazz lovers from all over the Midwest go where the weather is hot and the music is hotter. They converge on the Blue Lantern Inn, a rural Indiana dance hall in a resort town where the season's resident jazz band features a young cornet player named Bix Beiderbecke." ISBN 1-933353-57-0. Historical fiction Available now. 216 pages. 5.5x8 Trade Paperback. $16.95 U. S.
~ visit ~ Amazon; Bamm.com; Barnes & Noble; Borders; Indy Bookstores. Brother Jerome has a fatal accident in the cemetery of his friary and has a few problems adjusting to his new existence. ISBN: 1-931201-54-4 Fantasy Available now! 176 pages. 5.25x8 Trade Paperback. 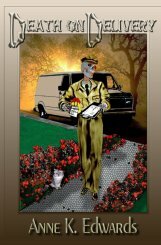 $15.50 U.S.
"Jerome And The Seraph is a delight to read! I was drawn into the story immediately and couldn't put it away, reading it in one sitting. " ~ Dallas Hodder Franklin, publisher of Sell Writing Online. Trying to decide if the writing life is for you? 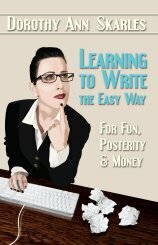 Then start with a very important book Learning to Write the Easy Way for Fun, Posterity, and Money. Discover your hidden writing talent. Discover your past and present for future generations. Discover the book in you. ISBN 1-931201-98-6. Non-Fiction Available now! 180 pages. 5.25x8 Trade Paperback. $16.95 U. S.
~ visit ~ Amazon; Barnes & Noble; Indy Bookstores or mail a check. ISBN 1-931201-19-6. Mainstream Available now! 186 pages. 5.5x8 Trade Paperback. 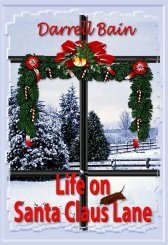 $15.50 U. S.
"Life On Santa Claus Lane by Darrell Bain is Sensational. I’ve never laughed or smiled so much reviewing a story. Darrell’s true adventures will remind you of some of your fondest memories growing up or time shared with loved ones. ...this is one book you can’t pass up." ~ Reviewed By Kim Genoa for Kim's Reviews. "The Willard Brothers stay busy outwitting and outfighting the bad guys, but still have time to turn the war zone into a party zone, flummoxing the high brass, chasing nurses, relieving the Army of unneeded supplies and taking Vietnam by storm." ISBN 1-931201-27-7. Adventure/War Available now! 206 pages. 5.5x8 Trade Paperback. $15.50 U. S.
"All the smells, sights and sounds of the Far East come alive in this fast paced novel. From the dreariness and boredom of every day existence to the sharp and terrifyingly sudden violence of the Tet offensive, Bain’s ability to transport you there never wavers. Readers who have never been there are treated to sights seldom seen by civilians. 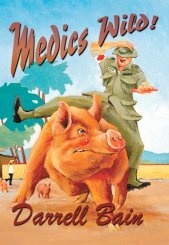 'Nam vets will find themselves nodding with a bittersweet smile as they turn the pages. It's all there." ~ Reviewed by Mike Hargraves for East Texas TODAY's. "...I have not often seen such an evocative presentation of what [Global Consciousness Project] is about, both the science and the philosophy." Dr. Roger Nelson, Director, Global Consciousness Project. ISBN 1-931201-34-X. SF Suspense Available Now! 432 pages. 5.5x8 Trade Paperback. $19.50 U. S.
~ visit ~ Amazon; Bamm.com; Barnes & Noble; Borders; Bookstores or mail a check. Misty was just an ordinary cat--if any cat could be called ordinary. 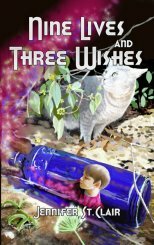 But after finding a "genie" in a bottle and making a wish, he is forced to become human to rescue a child from Faerie. Being human isn't everything it's cracked up to be. And making deals with the denizens of Faerie is a risky business in itself. ISBN 1-933353-55-4. YA fantasy Available now! 122 pages. 5.25x8 Trade Paperback. $13.50 U. S.
visit ~ Amazon; B.C.H. ; Barnes & Noble; Indy Bookstores or mail a check. "...This story is fun. It's easy to follow, just suspenseful enough, and has a satisfying ending. It's written for young adults, but I'm going to harp on my usual string and say, "Who's a young adult?" I can see people as young as nine and as old as ... well, however old ... liking it--so long as they're ready for a good time and a lively adventure." ~ Reviewed by Gray Walker for The Green Man Review, Copyright © 2004 The Green Man Review. 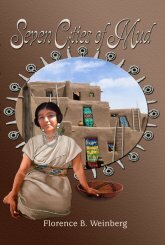 "Two radically different cultures, 16th-century Spanish and ancient Pueblo Indian, collide. Conflicts and passions explode--love and faith oppose anger, brutality, hatred, lust, greed and ambition--with tragic consequences." ISBN 1-933353-46-5. Historical Available now! 264 pages. 6x9 Trade Paperback. 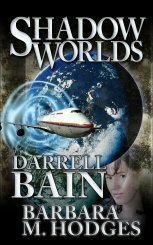 $16.95 U. S.
"Shadowy monsters, alternate worlds, and a lonely scientist racing against time, make this latest offering from popular author Darrell Bain and collaborator Barbara M. Hodges a page-turning adventure that strings the suspense out to the last page." ISBN 1-933353-79-1. SF/F Available now! 182 pages. 5.5x8 Trade Paperback. $16.95 U. S.
ISBN 1-931201-86-2. SF Suspense Available Now! 386 pages. 5.5x8 Trade Paperback. 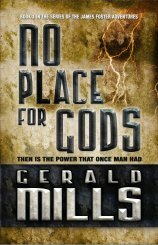 $19.50 U. S.
"If you like fast-paced plots built around man's untapped powers, you will love Gerald Mills' superbly-crafted novel of international confrontation, where atomic arsenals count for nothing in a power struggle of a different kind. All power is neutral. Its wielders promote good or evil with it. Then Is The Power pits human failings against triumphs, cold logic against great leaps of faith, and confirms what we already know: mankind is not ready to inherit the greatest powers of all-- those mankind may once have had." ~ Uri Geller, internationally known author and psychic. What if you had to share your consciousness with a benign, but ancient being on a mission? What if you had to make life or death decisions with sketchy knowledge of the issues at stake? What if the balance between Light and Dark has shifted -- giving Dark the upper hand? ISBN: 1-931201-32-3 New Age Available now! 282 pages. 5.5x8 Trade Paperback. $18.50 U.S.
~ visit ~ Amazon; Amazon.ca; Bamm.com; Barnes & Noble; Borders; Indy Bookstores or mail a check. 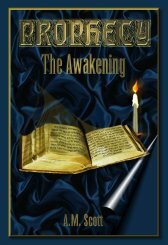 The answers can be found in "Prophecy: The Awakening" and a New Age realm where the inhabitants travel astral planes, converse with the gods and use computers to unite their efforts. ISBN: 1-931201-74-9 Mainstream Available now! 164 pages. 5.25x8 Trade Paperback. 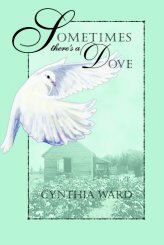 $14.95 U.S.
"Sometimes There is A Dove contains some humorous antics common to all kids and memories from an era gone by with a slower and seemingly safer pace of life. " ~ Rita Porter for Inscriptions Magazine. "A clerk working in the census bureau discovers a series of anomalies in the population of a small city located in the Ozark Mountains." ISBN 1-931201-23-4. SF Suspense Available now!! 222 pages. 5.5x8 Trade Paperback. $15.50 U. S.
"An excellent SF suspense thriller that will have the reader wondering what normal really means. 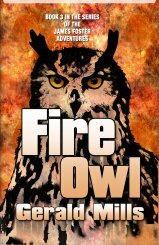 Tight, fast paced, fun to read. I loved it! I bet this is why some people think the way they do!" ~ Reviewed by Dinah Roseberry. "Tom and Carole are a happy young couple who have everything they could possibly ask for--except good health. 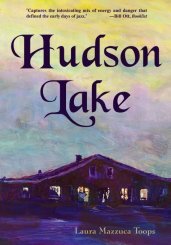 While vacationing on Cape Cod, they meet Lucinda Hobson, a mysterious woman who deals in herbal teas and claims to possess a potent elixir, capable of curing almost any illness and extending life indefinitely." ISBN 1-933353-03-1. Magic realism Available now. "When Gemma Ravenscroft returns to Yorkshire, she finds meddling friends, old enemies and a Swat team on her cottage grounds. 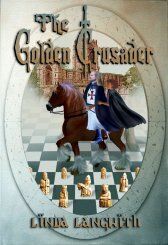 To complicate matters, a ghostly friend, Hugh de Montfort, tumbles Gemma into trouble more than once. Dr. Alec tends to her bruises while she endures lectures from the mysterious Max." ISBN 1-933353-91-0. Paranormal suspense Available now. 190 pages. 5.5x8 Trade Paperback. $16.95 U. S.
"This collection of poems, short stories and mythos miscellany will enchant anyone who has ever delighted to 'Once upon a time' -- grown up takes on fairy tales and fables that will leave you spellbound and asking for more." ISBN 1-933353-87-2. Folklore, Myths, Fairy Tales Available now! 168 pages. 5.25x8 Trade Paperback. $16.95 U. S.
"For Lori Stanton, managing rich, popular David Cruise's campaign for class president is a fantasy-come-true. Until the hot political race turns negative. David's opponent is Lori's unconventional new friend, Cap Cameron, a California transfer student with a secret." ISBN 1-931201-66-8. YA contemporary Available now. 125 pages. 4.5x7.25 Trade Paperback. $13.50 U. S.
"Marianne has long been able to predict the future, but is powerless to alter its course. 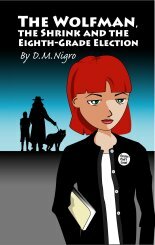 When her daughter inherits her dreaded power, she decides to make a change and move across the country." ISBN 1-931201-97-8. 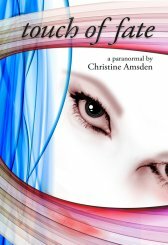 Paranormal mystery Available now! 272 pages. 5.5x8 Trade Paperback. $18.95 U. S.
"Ty Dettin and his friends are not especially looking for an adventure when they head out on their dirt bikes, but they stumble into several deadbeat criminals in an isolated area. Desperate men who plan to blow up a dam in an effort to uncover a hoard of gold. Accorded the LiFE Award. 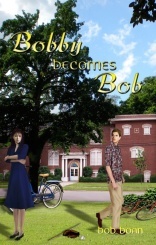 ISBN 1-933353-75-9 Young Adult suspense Available now! 288 pages. 6x9 Trade Paperback. 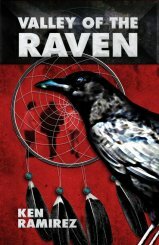 $18.95 U. S.
"Valley of the Raven" is an exciting adventure, filled with plenty of action, history, mysticism, and animation." ~ Nancy Morris, AllBooks Reviews. This page last updated 01-04-11.